Ok so I see backwards filters all the time. But this is a new construction house, so you would think the builder, his HVAC guy or some reasonably knowledgeable person, could follow the instructions of the big green arrow! Like years past time to change the filter! 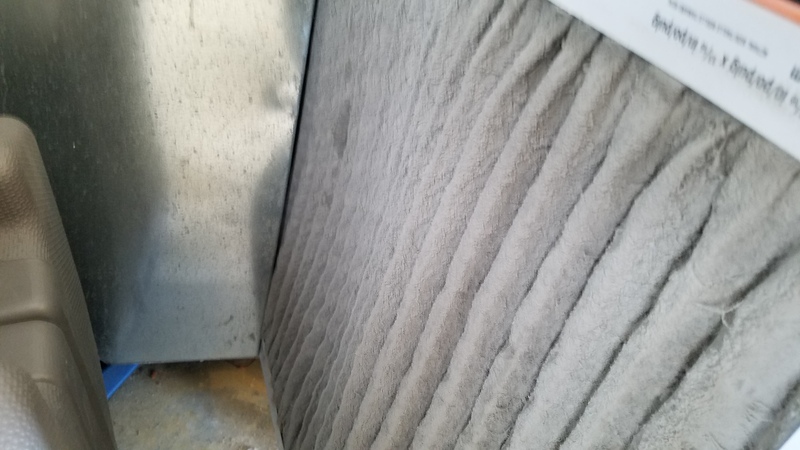 Don’t let your filter get anywhere near this dirty. Gotta love those little critters. Only place they were visible in this house. 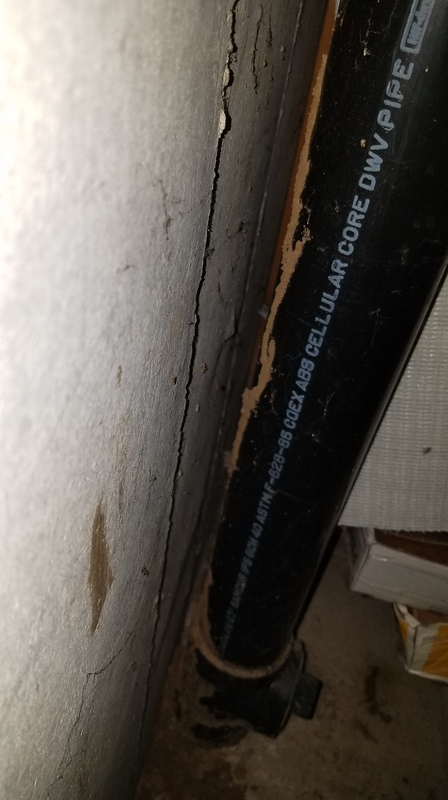 Coming up the back of the drain line on the main stack – termite guy misses them (not my termite guy, Gary Jelinek) the buyers termite guy. I found thwm, he gets to treat for them! 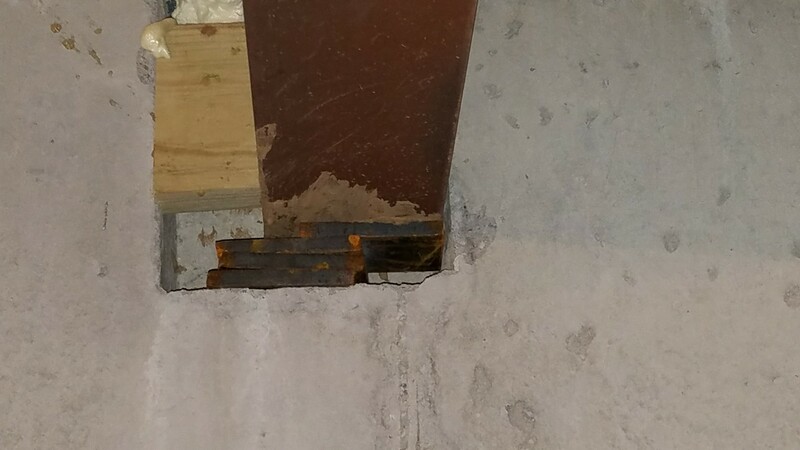 Seriously, how difficult is it to stack shims directly under a beam that is supporting the entire house?